Andrew F. Leuchter, MD, is a Professor in the Department of Psychiatry and Biobehavioral Science, Director of the Neuromodulation Division, and a Senior Research Scientist at the Semel Institute for Neuroscience and Human Behavior at UCLA. A graduate of Stanford University, Dr. Leuchter earned his medical degree from Baylor College of Medicine in Houston, Texas. He completed internships in Medicine/Neurology at the Wadsworth Veterans Administration Medical Center and in Geroneuropsychiatry/Neurology at the UCLA Neuropsychiatric Institute, followed by a residency in Psychiatry at the UCLA Neuropsychiatric Institute and a Robert Wood Johnson Fellowship in the UCLA Department of Medicine. He joined the UCLA faculty in 1986. An internationally recognized expert on the treatment of mood disorders, Dr. Leuchter’s research focuses on the enhancement of treatment outcomes in depression. He directs the UCLA Transcranial Magnetic Stimulation (TMS) Clinical and Research Service in the Division. Dr. Leuchter leads clinical trials to develop novel neuromodulation technologies for treatment of depression and Post-Traumatic Stress Disorder (PTSD), including synchronized Transcranial Magnetic Stimulation (sTMS) and Trigeminal Nerve Stimulation (TNS). He uses brain-imaging techniques, such as quantitative electroencephalography (qEEG), magnetic resonance imaging (MRI), and positron emission tomography (PET), to examine brain function and predict which treatments are most likely to benefit individual patients. His research program combines clinical trials with neurophysiologic and brain-imaging studies to inform clinical practice in the treatment of depression. As a Board certified electroencephalographer he has unique expertise in development of biomarkers and has shown that brain oscillation patterns can be used to determine highly beneficial and individualized treatment. Dr. Leuchter is a Diplomate of the American Board of Electroencephalography and Neurophysiology and a Diplomate in Psychiatry and Neurology with Added Qualifications in Geriatric Psychiatry. 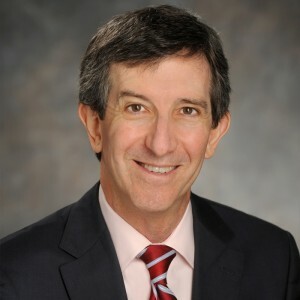 He is a member of several professional organizations, including the American Psychiatric Association, American Psychiatric Electrophysiology Association, and the American Medical EEG Association. He has authored over 150 scientific articles on topics including neuromodulation for the treatment of depression, biomarkers to guide treatment of neuropsychiatric illness, and theories of antidepressant action. He also maintains an active clinical practice, specializing in consultation for and care of patients suffering from treatment-resistant depression. Andrew Leuchter, Proudly powered by WordPress.